Burlington, VT- June 7, 2018- Whether you're a true Phish fan or not, you've tried Ben & Jerry's classic flavor, Phish Food. 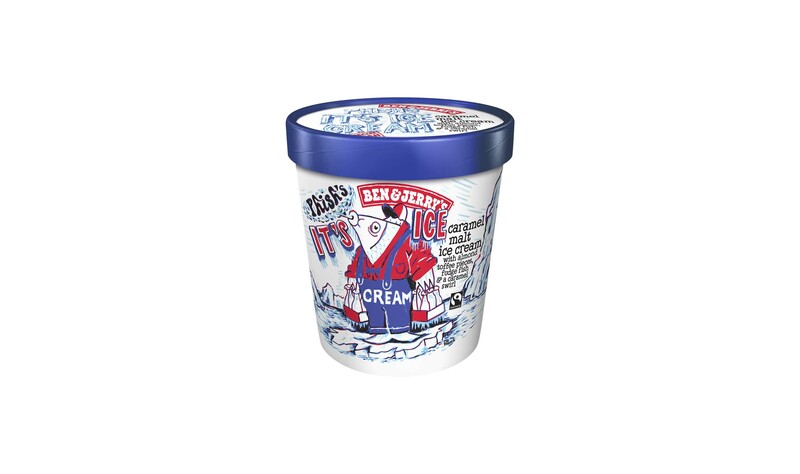 Ben & Jerry’s has partnered with Phish for a third flavor to celebrate the 21st anniversary of The WaterWheel Foundation! It's Ice... 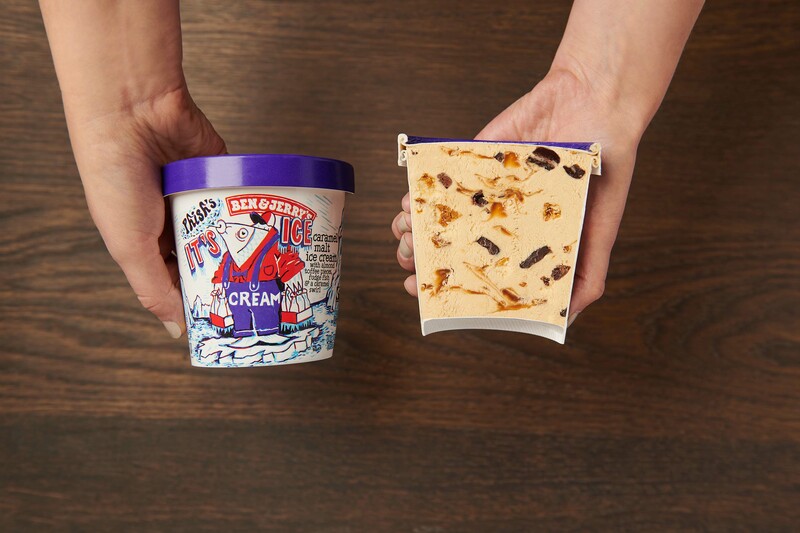 Cream features a caramel malt ice cream with almond toffee pieces, fudge fish and a caramel swirl and was one of the original flavor concepts in the running, back in 1997, to become Phish Food. 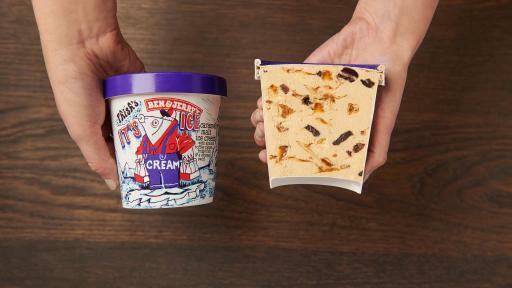 Luckily, Ben & Jerry's Flavor Gurus never lose sight of a good flavor concept and have brought it to pints. A portion of all proceeds will benefit The WaterWheel Foundation. 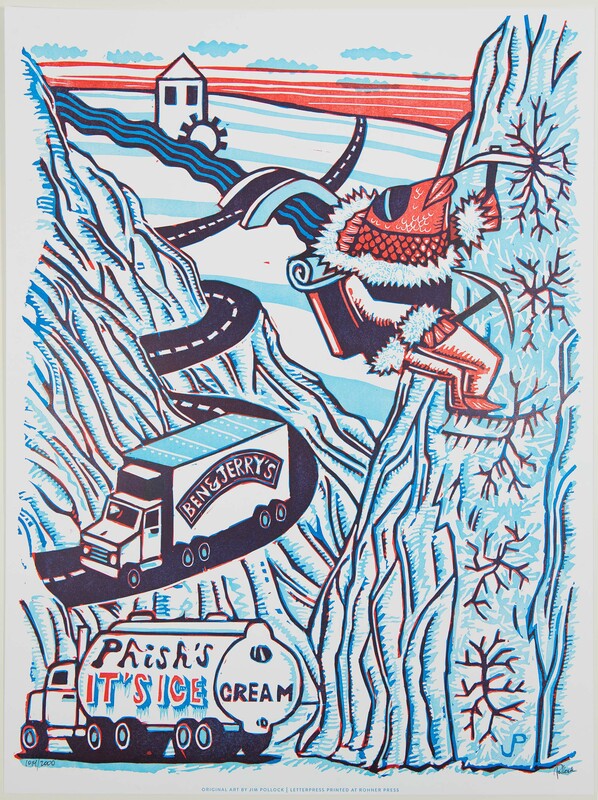 To celebrate It's Ice...Cream, named after the 1991 Phish song “It's Ice”, Ben & Jerry's has created a one-of-a-kind pack featuring exclusive artwork by renowned Phish poster artist, Jim Pollock. 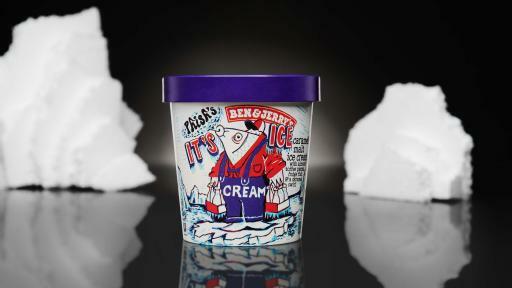 But the artwork doesn't stop with the Ben & Jerry's pint. 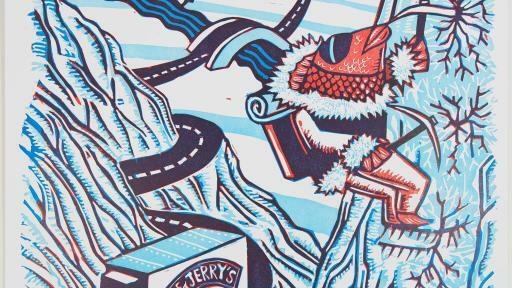 Ben & Jerry's will be offering a merchandise gift pack available in limited quantities through store.benjerry.com, which includes a special poster design by Pollock. All proceeds of merchandise sales will directly benefit The WaterWheel Foundation. As an aspiring social justice company, Ben & Jerry's believes in a greater calling than simply making a profit for selling its goods. The company produces a wide variety of super-premium ice cream, light ice cream, yogurt and sorbet using high-quality ingredients. Ben & Jerry's incorporates its vision of Linked Prosperity into its business practices in a number of ways including a focus on values-led sourcing. In 2015 the company completed its transition to using entirely non-GMO (genetically modified organisms) ingredients by source as well as to fully source Fairtrade-certified ingredients wherever possible, which benefits farmers in developing countries. 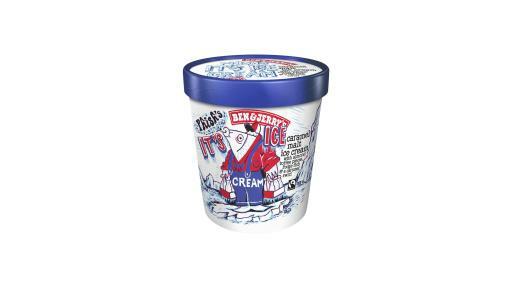 Ben and Jerry’s products are distributed in 35 countries in supermarkets, grocery stores, convenience stores, franchise Ben & Jerry's Scoop Shops, restaurants and other venues. 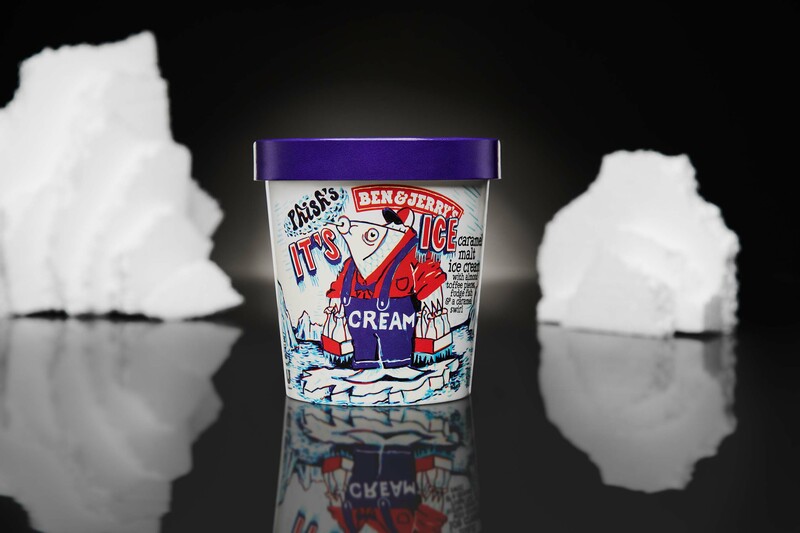 Ben & Jerry's, a Vermont corporation and wholly-owned subsidiary of Unilever, operates its business on a three-part Mission Statement emphasizing product quality, economic reward and a commitment to the community. Ben & Jerry's became a certified B Corp (Benefit Corporation) in 2012. The Ben & Jerry's Foundation's employee-led grant programs totaled $2.7MM in 2017 to support grassroots organizing for social and environmental justice around the country. The WaterWheel Foundation was created by Phish in 1997 to oversee the band's various charitable activities. These include Phish Food's support of a clean Lake Champlain and it’s surrounding basin, relief funds created post-natural disaster eras for both the state of Vermont and the island of Tortola, and a cancer research fund as well as supporting a large sphere of needs including social services, primarily those benefitting women and children; environmental, with a focus on clean water and land conservation with public access; as well as food banks, urban gardening and arts education. Our primary effort then and now is our Touring Division, though in keeping with our “Local” mission we also support Vermont-based non-profits and others in need. From its debut the mission of WaterWheel's Touring Division has been to raise funds for pre-selected non-profits in each community that Phish visits while on tour. In essence, WaterWheel is the Phish community coming together to share in positive ways with the local communities the fans all visit on tour stops. The net proceeds raised at each show - fan donations plus the sale of WaterWheel logo merchandise and items autographed by the band - are donated to the organization tabling at the show, after deducting overhead costs. Thanks to the generosity of the fans and the band, since its creation WaterWheel has donated over $4,000,000 to organization across the country.